Have you ever wanted a custom home? Do want your home to stand out on the block? Can you think of a perfect home design that represents you? Then David Green Construction can help. 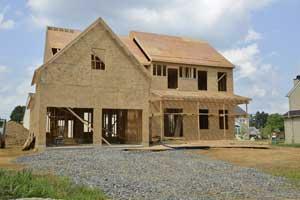 As experienced master builders, we provide home construction in Hillsboro and the surrounding areas. 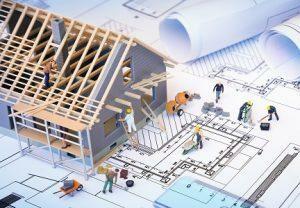 If you’ve thought about getting a home built but have no idea how the process works or even where to begin, don’t worry. We’re there for you through the entire process from conception to completion. We work with you instead of leaving you in the dark and make sure you understand what we’re doing and let you make any tweaks you wish. As much as we love home building, we know that we aren’t building a house for ourselves. While we will guide you and make suggestions based on past customers on what worked and didn’t, we always make sure you’re included and have the final say. If you already have a plan that’s been drawn up or verified by a developer, we’ll build it for you just like that. Once we’ve created plans with you, we put them into our 3D software so you can see exactly what it will look like. In case a problem comes up with structural issues or coding, we use your input to modify the design. By the time you’ve gotten to the design phase, you’ve probably already made some compromises due to cost. We try to make sure you don’t have to do that again. When you choose us, you choose an honest and experienced contractor that works hard to include you in every step of the way and limit your costs. If you’re interested in a building a home, call or contact us and see how your dream home can come true!